Last week, the Canada Council for the Arts announced the finalists for the 2015 Governor General Literary Awards. Amongst the many worthy nominees is Caroline Pignat for her recent book, The Gospel Truth. Interestingly, Caroline Pignat has already won the GG for children's book text, in 2009 for Greener Grass (Red Deer Press, 2008). 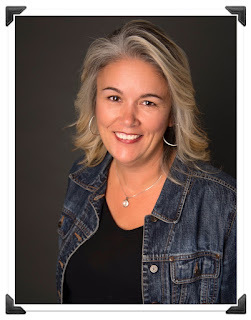 The Gospel Truth, which I reviewed on January 13, 2015 (review here) is a staggering achievement for a book of youngCanLit, both in its content and its form, and I now have the honour of interviewing author Caroline Pignat about her book. HK: What was the germ of an idea that had you focusing your story on the life of a young slave woman in Virginia in the mid-1800s? The facts fascinated me, particularly those about the Fugitive Slave Act and the influx of people escaping from slavery to Canada. After researching the Underground Railroad and the role of abolitionists, I pitched Annie’s story to Red Deer Press and they offered me a contract. I began writing it in the alternating voices of Annie and a house slave named Phoebe. But I soon realized that I didn’t care about Annie and I was skimming through her parts to get to Phoebe’s. Though mute, Phoebe had much, much more to say. Her voice felt stronger. Richer. Much more engaging. I knew then, that this wasn’t Annie’s book, it was Phoebe’s. HK: The Gospel Truth is written in free verse and an astounding accomplishment for your first foray into that form. But I believe your writing is so well suited for free verse as you are able to use words both sparingly and powerfully. What made you choose this form for The Gospel Truth? CP: In the beginning, I wrote my chapters in prose, alternating POV between Annie and Phoebe. Because of the research I’d done to tune in to Phoebe, she had a very distinct voice. Sparse. Simple, but wise. Figurative. I had previously written free verse for the voice of Will, the bullied character in my first novel, Egghead. I loved the form and was keen to try it for an entire novel, but none of my books since seemed to be a good fit. When Phoebe spoke, I realized that her diction, syntax, and the symbolic way she saw her world truly was poetic. She was speaking in free verse, but I was writing it in prose at first. Switching to free verse was liberating, it felt like cleaning away all the clutter and getting right to the heart of her. Many early poems came word for word from those first draft chapters. HK: Writing The Gospel Truth in six different voices–Phoebe, Master, Miss Tessa, Doctor Bergman, Bea the housekeeper and Shad another slave–must have been challenging because they are so unique. How were you able to keep their voices distinctive and still find the means for them to experience the commonalities of life on a plantation in 1858? And how difficult was it to get the voices right, with dialects of the slaves and people of the region of which you wrote? CP: Egghead is told in three voices; the Greener Grass series is told in Kit and Jack’s voices; Ellie is narrating Unspeakable, but I also included Jim’s journal entries; and my upcoming novel, Shooter (Penguin, May 2016) is in the voices of five students in a lockdown. I love seeing a common experience through different perspectives. I love figuring out what filters flavour each character’s interpretation of that reality. But writing in multiple POV means treating each one of those narrators as a main character. It means knowing them intimately and developing them completely so they appear distinct, authentic, and believable. My research informed my characters’ attitudes, experiences, and perceptions. I read many biographies and autobiographies of abolitionists as well as those by enslaved people like Josiah Henson, Harriet Jacobs, and Solomon Northrop. But what helped me really tune in to their voices -- particularly those of Phoebe, Shad, and Bea -- was reading transcribed slave narratives, like those in Unchained Memories. 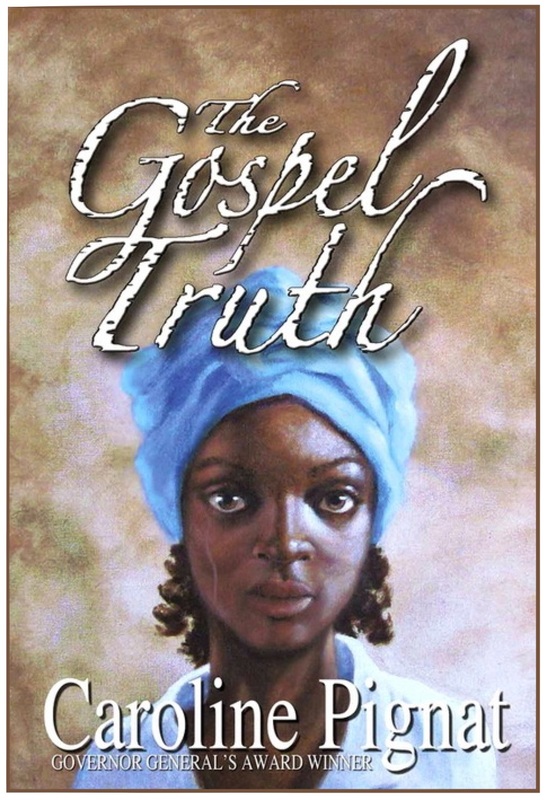 Those vivid descriptions of slave life, their turns of phrase (“and that’s the Gospel truth”), and their varied experiences and resilient spirits affected me deeply and inspired my characters. HK: There is a lot of self-deception going on in The Gospel Truth. Whether it’s the bird playing dead–“That bird just so scared of what it, it gotta go pretending what isn’t” (pg. 18)–or Will telling his brother Shad that “being blind to what is, don’t make it false” (pg. 87), it’s all about self-protection. How important do you think this is amongst your characters and for people in general when dealing with challenges? CP: I think we grow into our truth. We discover it and accept it, as we are ready. Self-deception can be a kind self-protection, for a time, it may be necessary, but if we stay there, in denial, we are as trapped as that bird in the cage. Parts of this journey for Phoebe are the baby steps she takes: to learn her letters; to steal a notebook; to meet with Bergman; to help Will escape. With every choice, she moves one step closer to discovering, accepting, and eventually speaking her truth. HK: Secrets play a tremendous role in The Gospel Truth and in fiction in general. And Phoebe makes a very insightful declaration about secrets in the book. there ain’t no taking them back. What do you think is more difficult to write about: the keeping of secrets or the telling of secrets? CP: Secrets are powerful. Though dangerous in real life -- they’re fabulous in fiction. A juicy secret can drive character motive, stir fear, and raise tension. It complicates relationships because a secret weakens integrity, arouses suspicion, and undermines trust. In multiple POV, secrets bring even more to the story because now the reader knows not only the secret, but who is in on it, and what is at stake. Usually, the longer a character tries keep a secret, its telling becomes even more difficult and destructive. If a plot includes a secret, I try to make the most of the scene where it’s revealed. 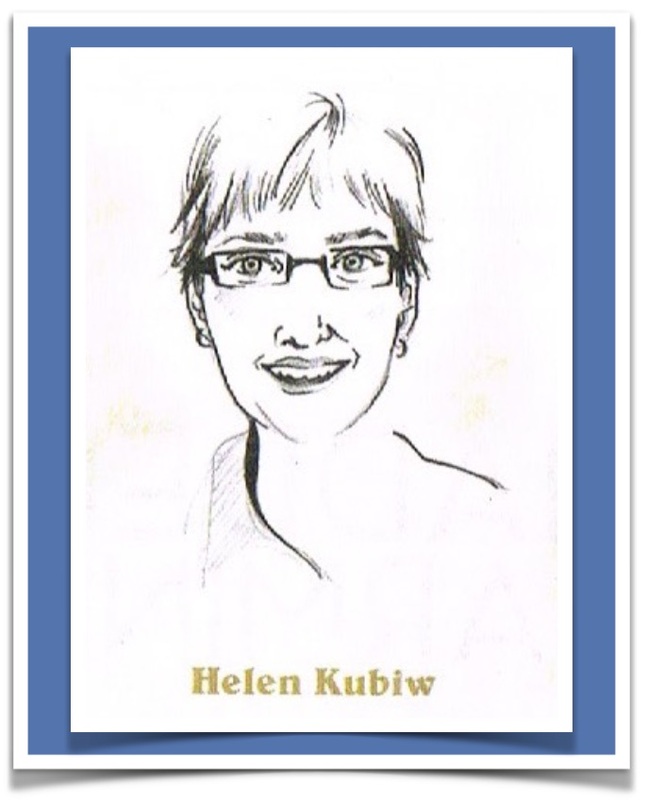 HK: I know that you are an accomplished writer of historical fiction, having already won a Governor General Literary Award for Greener Grass (Red Deer Press, 2008) among many other book awards, and I anticipate more such volumes in the future. But, will you consider writing more novels in free verse–please, please, please!–whether it be historical fiction or not? In fact, do you have any plans or works in progress or set for publication already that follow that format? CP: I love writing free verse -- and I’m so encouraged by how The Gospel Truth is being received. Because free verse is so sparse, it forces me to focus on that one meaningful moment. It makes me notice and highlight what really matters. Where first person is like being in someone’s head -- free verse is like being in their heart. It’s raw, honest, and intense. I would love to write another novel in free verse -- assuming I find a character whose voice is best expressed in that form. As I wrote The Gospel Truth, I realized this story was really about Phoebe’s inner journey to choose freedom. It was fascinating to watch her slowly progress beyond her fear and come to that moment of decision. Will she risk everything and leave all she has ever known? Though I had researched the URR for the outer journey, it didn’t belong in this novel. Maybe it deserves a sequel -- but I’m still discerning that one. 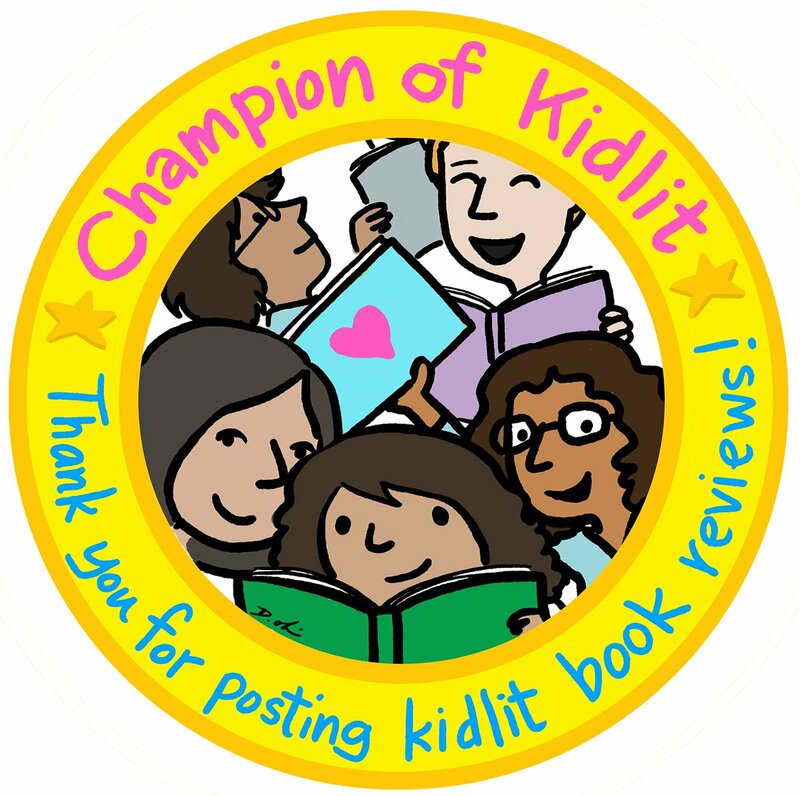 HK: I often ask this question of authors and I would love to know your take on it: Would you rather produce one book of extraordinary importance that becomes a classic but one to which all your writing is forever compared, or would you prefer to author many different books for different audiences and which could not be compared to each other? CP: Hmmm. Tough question, Helen! Do I want to live in the shadow of one super-fantastic book... or in productive obscurity? As a one-hit wonder... or as muzak? In which one of these scenarios am I on a beach in Cuba? When I think product, yes, I would LOVE to create a book of extraordinary importance. But when I think process, I would HATE to believe that I had peaked as a writer. I need to try new things. I need to feel inspired and excited about my next work-in-progress. Comparison only leads to creative constipation. So, I’d choose to author many books for different audiences. Besides, classic or not, I believe that each book is extraordinarily important to someone. And sometimes that someone is just me. 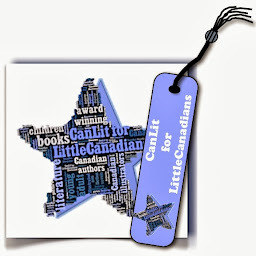 HK: If there is anything else that you would like to share with readers of CanLit for LittleCanadians about The Gospel Truth, your nomination for another Governor General Literary Award, or your writing, please fee free to do so. We’d really love to know more! Right now, I’m working on a Study Guide for The Gospel Truth. It should be available for free download in early November. 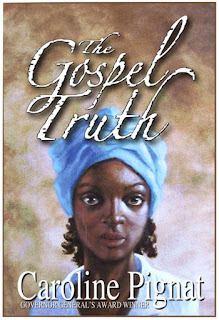 Great for book club discussion, as a Novel Study Unit, or as a resource for Black History Month in February. for arranging this Q & A. There is a giveaway, yes GIVEAWAY, starting today October 13, for one of 10 free SIGNED copies of The Gospel Truth on Goodreads, so it's a perfect chance to get your own copy, if you don't have it yet. In addition to being named a finalist for the 2015 Governor General's Literary Award, The Gospel Truth is also a finalist for the Ottawa Book Award, the Amy Mathers Teen Book Award, and the Geoffrey Bilson Award for Historical Fiction for Young People and is an honour book for the CLA Young Adult Book of the Year Award! The giveaway is open to readers in the US and Canada. So enter now for your chance to win one of ten SIGNED copies of The Gospel Truth by Caroline Pignat.